A quiet day on the polling front. Arizona is slipping, but Bush is still hanging on by a thread there and in New Mexico. 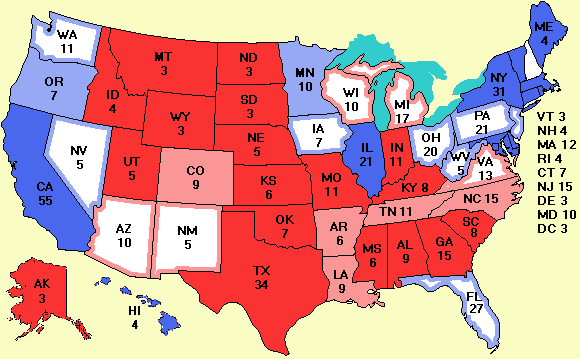 Last time, Bush won Arizona and barely lost New Mexico. This time, both are up for grabs.